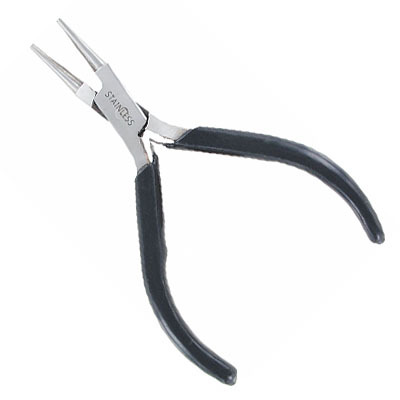 Jewelry Supplies: Pliers - Frabels Inc. Bent nose pliers, 4.5 inch, stainless steel. (SKU# JTK1204BN/SS). Sold individually. 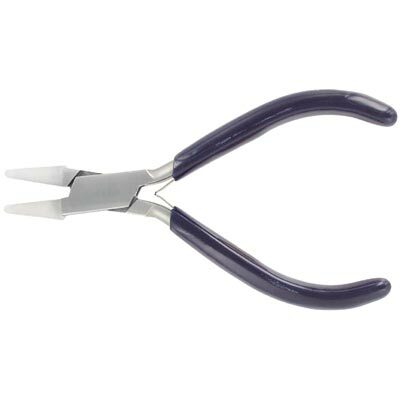 Round nose pliers, 4.5 inch, stainless steel. (SKU# JTK1197RN/SS). Sold individually. Flat nose pliers, 4.5 inch, stainless steel. (SKU# JTK1195FN/SS). Sold individually. Chain-nose pliers, 4.5 inch, stainless steel. (SKU# JTK1193CN/SS). Sold individually. 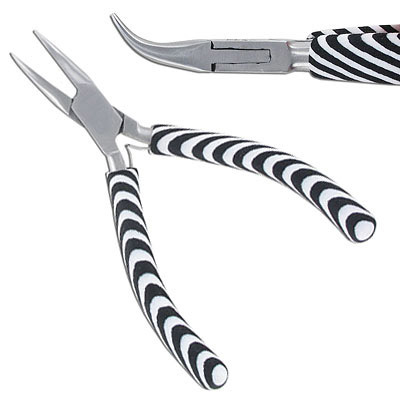 Bent chain-nose pliers, zebra print. (SKU# JTZ8). Sold individually. 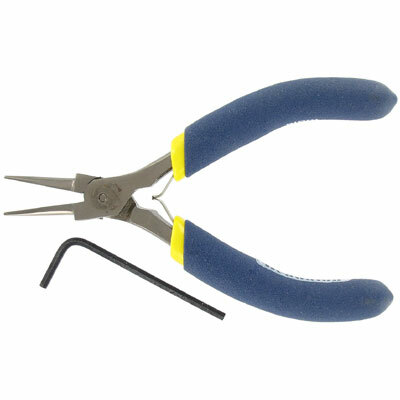 Nylon jaw bending pliers. (SKU# JTNJBEND). Sold individually. 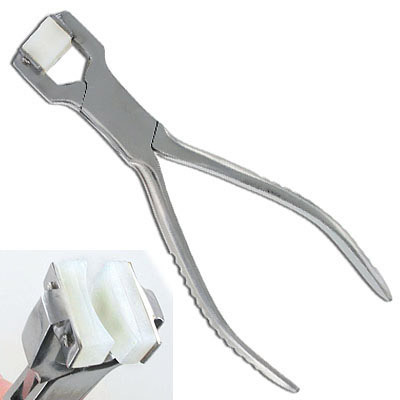 Hi-tech pliers for thin split rings, 5.5 inch. (SKU# JTPLHT5). Sold individually. Knotting pliers designer. (SKU# JTDKP). Sold individually. 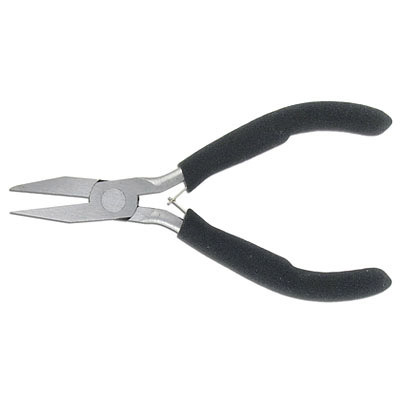 Econo flatnose pliers, 5 inch, foam handles. (SKU# JTPL6). Sold individually. 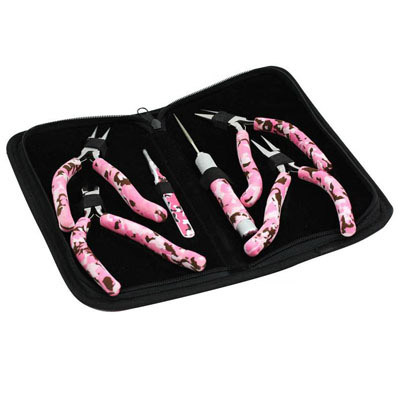 Pliers set, pink camouflage, with gun handles, 6 pieces. (SKU# JTPCSET6). Sold individually. Beadalon nylon jaw flat nose pliers. (SKU# JTNJ3). Sold individually. 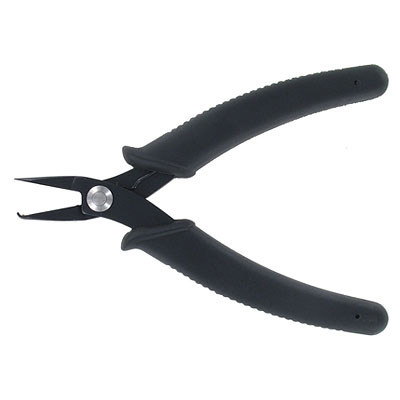 Chain-nose pliers, 4.5 inch. (SKU# JTCN02). Sold individually. 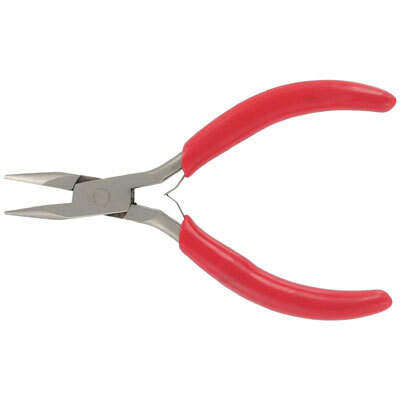 Jumprings and link opening plier. (SKU# JTOPEN). Sold individually. Beadalon Beadstrom round nose pliers. (SKU# JTB-RN). Sold individually. Beadalon Beadstrom chain nose pliers. (SKU# JTB-CN). Sold individually. 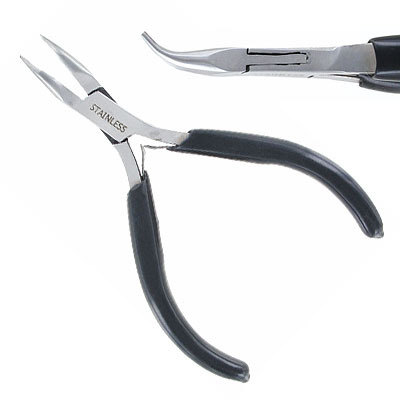 Set of 3 - round nose plier, cutter and chain nose plier. (SKU# JTPLSET3). Sold individually. 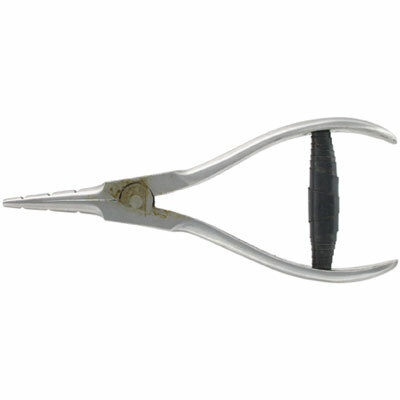 Beadalon nylon jaw round nose pliers. (SKU# JTNJ4). Sold individually. 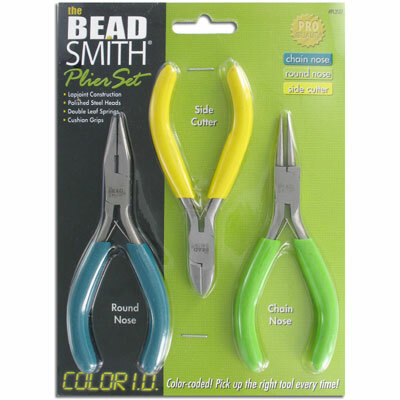 Beadalon designer round nose pliers. (SKU# JTDRN). Sold individually. Beadalon designer bent chain nose pliers. (SKU# JTDBN). Sold individually. 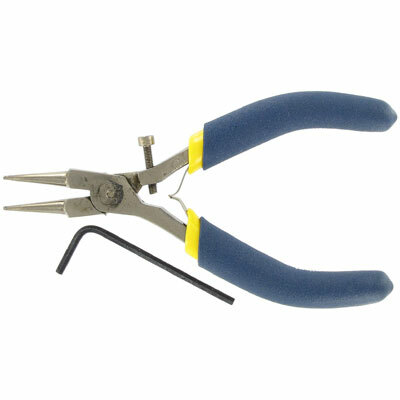 Beadalon wire bending pliers, 22-24ga. (SKU# JTWB2224). Sold individually. 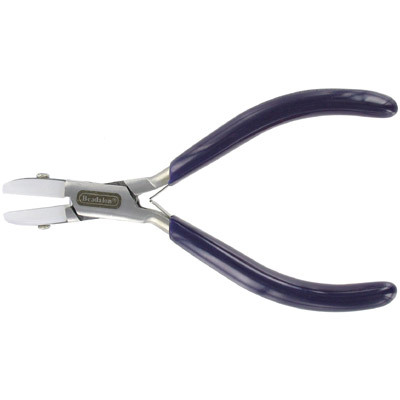 Beadalon econo round nose pliers. (SKU# JTERN). Sold individually. 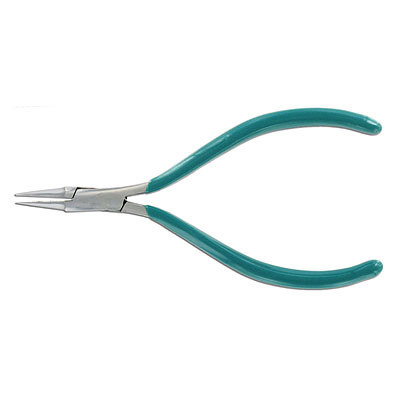 Jewellry tool, round nose pliers, economy, 12.7cm, (5 inches) with green handles. (SKU# JTPL4). Sold individually. ERGONOMIC round nose pliers. 12.7cm (5") long. (SKU# JTG-ER14). Sold individually. ERGONOMIC chain-nose pliers 12.7cm (5") long. (SKU# JTG-ER10). Sold individually. Beadalon ERGONOMIC round nose pliers. 11.4 cm (4.5") long. (SKU# JT-ER201RN). Sold individually.